« Anacortes Wants The Guemes Channel Trail! 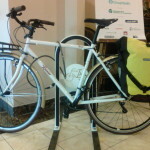 Help count bicyclists and pedestrians in your community! How do we gauge the number of people biking and walking to work in Washington? We count them. Washington State DOT and Cascade Bicycle Club are getting ready to conduct the sixth annual bicycle and pedestrian count, and volunteers are needed all across the state to help tally the numbers. The count will occur October 1 -3 in communities throughout our state. According to WSDOT, about 400 volunteers counted nearly 60,000 bicyclists and pedestrians during the three-day survey in 2012. Counts will be conducted in at least 38 Washington communities including: Bainbridge Island, Bellevue, Bellingham, Bothell, Bremerton, Burien, Ellensburg, Everett, Federal Way, Ferndale, Gig Harbor, Issaquah, Kelso, Kent, Kirkland, Lake Forest Park, Lakewood, Longview, Lynden, Mercer Island, Milton, Mountlake Terrace, Oak Harbor, Olympia, Orting, Parkland, Puyallup, Redmond, Renton, Richland, Seattle, Shoreline, Spokane, Spokane Valley, Tacoma, Tukwila, University Place, Vancouver, Vashon Island, Walla Walla, Wenatchee, and Yakima. Counting bicyclists and pedestrians is important. Annual counts give WSDOT an accurate estimate of demand, measure the benefit of investments, and help the agency target safety and mobility projects. These numbers are valuable to bicycle and pedestrian advocates too. These counts can be shared with your local transportation planners and elected officials to demonstrate the demand and need for trails, bike lanes, sidewalks, and other infrastructure investments that make it easier to bike and walk. Ready to lend a hand with the count in your community? Follow this link to volunteer online and learn more about the annual bicycle pedestrian count. 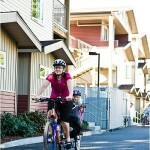 This article was posted in Commuting, Infrastructure, Transportation, WSDOT. Bookmark the permalink. Follow comments with the RSS feed for this post. Both comments and trackbacks are closed.